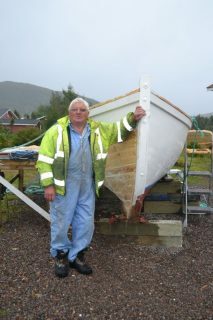 Andy Riggs with second boat, 2016. 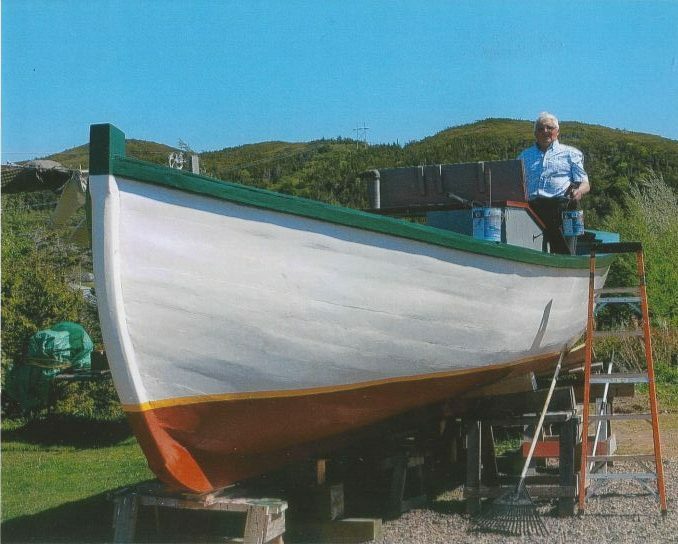 Although Andrew (Andy) Riggs grew up around boats, he didn’t start building any until the age of 73. 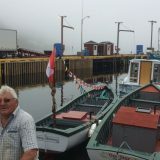 Born in Port au Bras on the Burin Peninsula in 1941, Andy worked as a welder at the Marystown Shipyard. 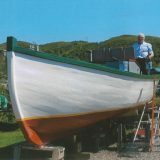 In 2005, he moved to Salmonier, Burin, where he began building boats. “I don’t know why I started at it all… I just wanted to see could I do it, is all. 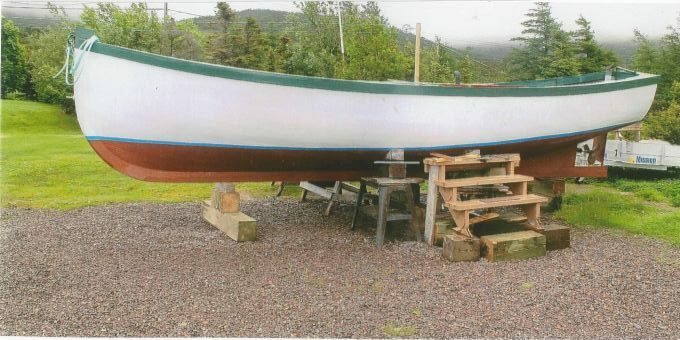 I just started to build her, that’s all. 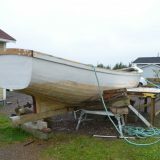 I came in here [the workshop] the winter and drew it on the floor and then I got some timbers in the woods… a lot of work to building a boat,” he said. 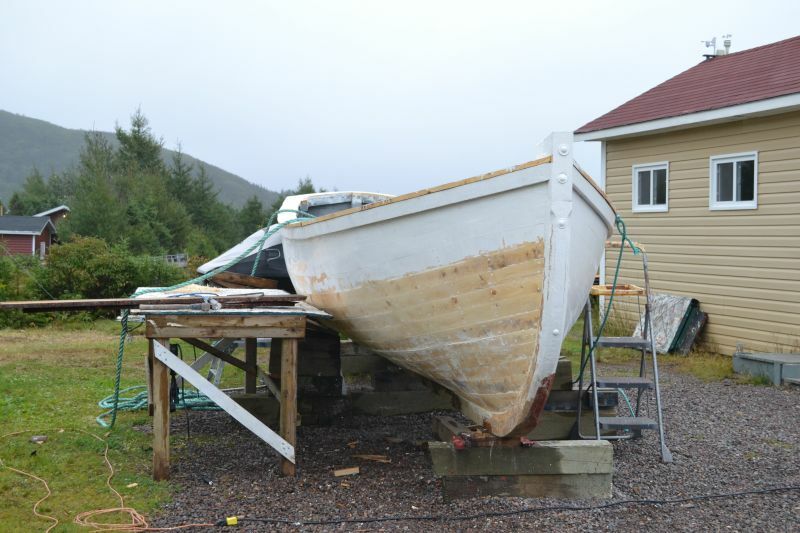 His first boat, launched in 2015, was a 27-foot trap skiff. 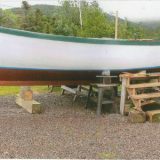 Built from spruce and juniper, Andy harvested all the wood himself. 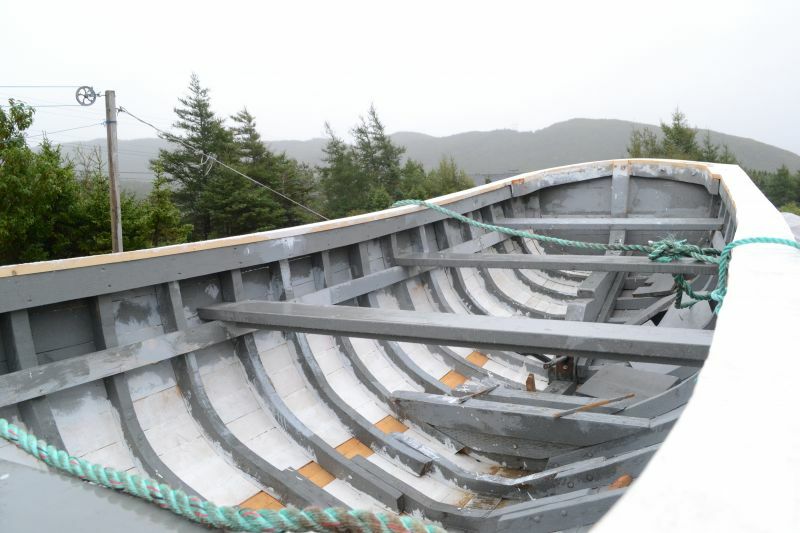 “Everything come out of the woods…It’s a job to get timbers for them, eh? 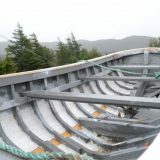 I’ve been all over the place… It’s a job to find the crooked ones,” he said. 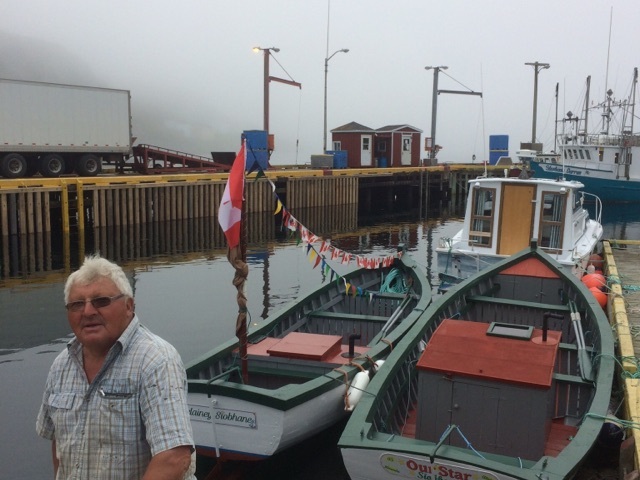 “Andrew spent hundreds of hours in the woods searching for the perfect trees,” said his sister Pauline. 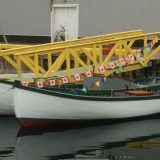 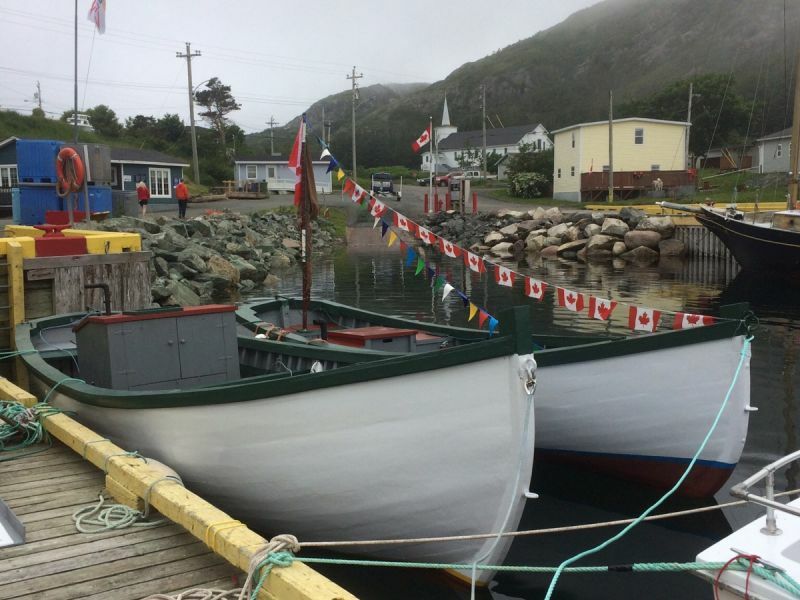 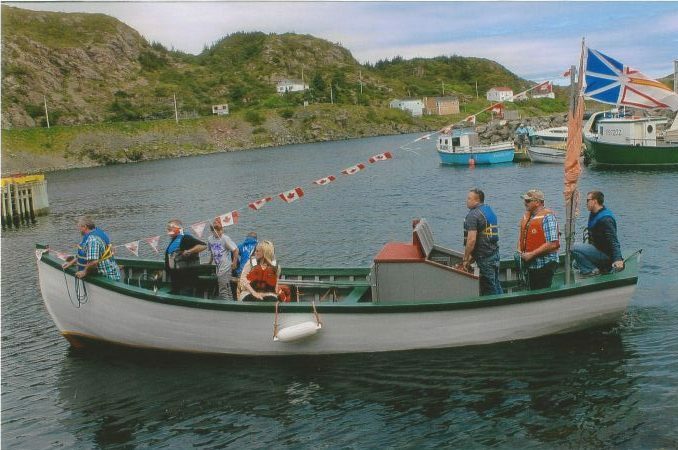 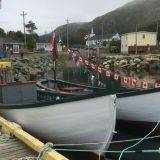 Named “Our Star” to honour the memory of his late granddaughter, the boat was outfitted with a 20-horsepower Lister engine and launched on July 4, 2015.” She’s a good stable boat, that one,” he said. 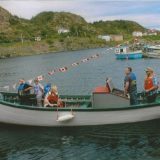 Andy’s second boat, a 24-foot motor boat, or motor punt, was launched in 2017. 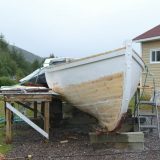 Under construction at time of our interview in 2016, Andrew said that “she’ll be just as good or better…She’s a different boat that one. 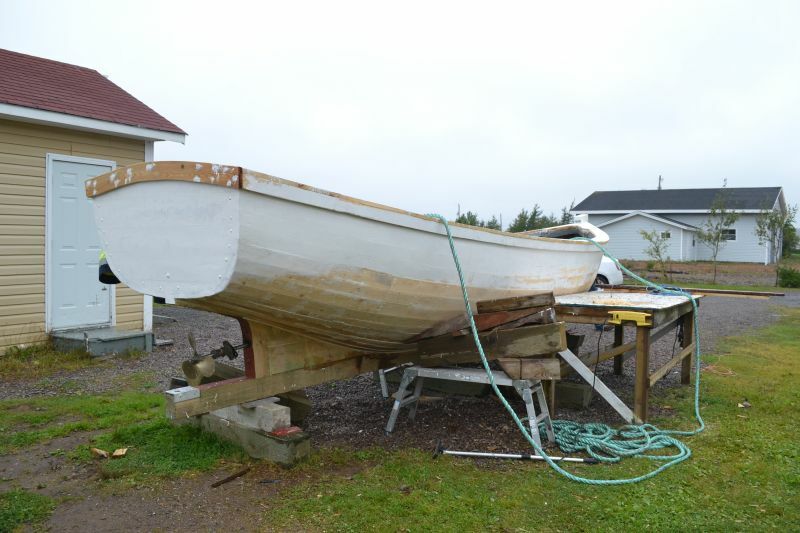 More flatter on the bottom. 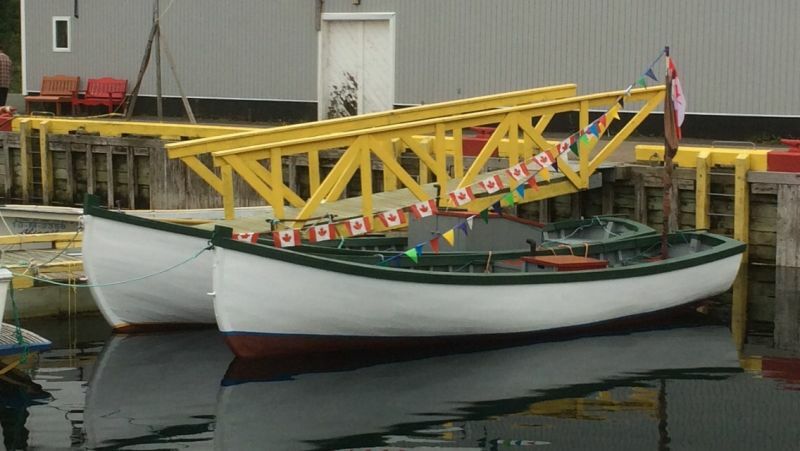 The other one was more rounder.” She was outfitted with 4-horsepower Acadia engine and launched on July 22, 2017.